Being a passenger in an Uber accident in Los Angeles is no picnic. Have you been a passenger in an Uber accident in LA? Here's how it goes... The unthinkable happens so quickly that you don’t even have time to react. Just 2 minutes before, you and your buddies, fresh from the finish line of the Los Angeles Marathon in Santa Monica, hopped into an Uber to speed off to downtown LA to pick up your cars where you left them before the race. You had a great race, and you feel like you might even have qualified for Boston! But, in a split second, everything changes. Your Uber driver tries to make that famous Los Angeles left turn on a fading yellow light. The last thing you remember is a car coming straight at your window – also probably trying to make the yellow. You wake up in the hospital, and everyone who was in the Uber is alive, thanking their lucky stars. You have a fractured collarbone, a broken wrist and a bad concussion, but the doctors say you will recover. Hallelujah! A month later you are finally able to start getting back to work and your daily routine. You receive an envelope from the hospital where you woke up that terrible day. Inside is a bill for $47,000! You immediately panic and think “I will call my car insurance and they will figure this out.” Then you pause and realize that you were merely a passenger in the Uber, you weren’t driving, and it wasn’t your car. Wait!?!? Who is going to pay for this $47k bill? How does insurance cover you when you are a passenger in an Uber accident? That’s an excellent question. The experienced rideshare accident attorneys at the Los Angeles office of Sally Morin Personal Injury Lawyers are here to explain! Getting into an accident as a passenger in a rideshare vehicle such as Uber or Lyft can be scary, frustrating and also confusing because it is not totally clear how and if you will be covered by insurance. 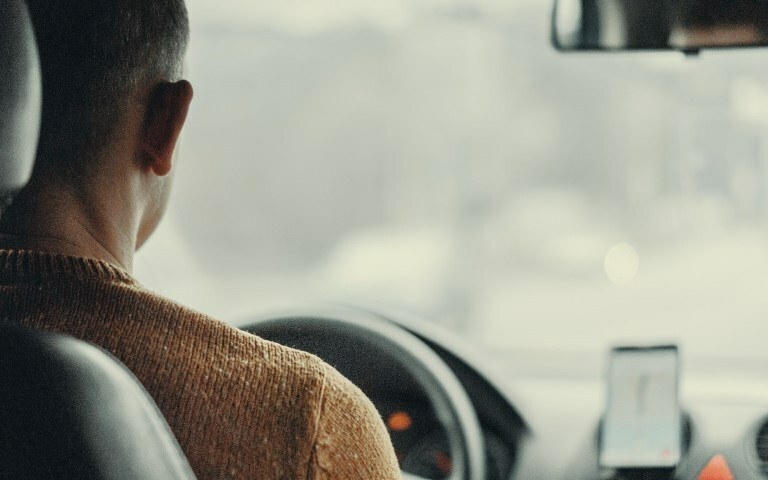 Uber and Lyft also differ slightly in the way in which their passengers are covered and claims are handled, so this is a common concern for passengers looking to navigate a personal injury claim involving rideshare services. As the number of ridesharing drivers increase, so do the number of Uber accidents in Los Angeles. It’s important to know the process for making a personal injury claim as well as understand how you may be covered by insurance when you are a passenger in an Uber accident in Los Angeles. Uber drivers should carry car insurance which covers each passenger in an Uber accident. Sticking with our Uber example, Uber requires all of their drivers to carry liability car insurance. Uber also provides supplemental insurance coverage, but only while the Uber app is on. Here’s how it works: When the Uber app is off, a driver is covered by their own personal car insurance. When the Uber app is turned on - meaning that the Uber driver’s app is on and he or she is waiting to accept a request - liability coverage will be triggered by any accident where the Uber driver is at fault. When the Uber driver accepts a request from a passenger but before the passenger gets into the Uber, all the way through the time the passenger exits the Uber, Uber provides a higher level of coverage for 1) liability to a third party (Uber at fault) AND 2) any injuries caused by another driver who does not have insurance or is under insured (other driver at fault). If you are a passenger in an Uber accident in Los Angeles and aren’t sure what kind of coverage is involved, check out our more detailed breakdown. What if both the Uber driver and the other driver are at fault? Take the example anecdote from above. You were a passenger in an Uber accident with 2 of your friends. The police arrived on scene and concluded that both drivers entered the intersection after the light already changed from yellow to red and that both the Uber and the other driver were at fault for causing the accident. Now this is a sticky situation because, as the innocent passenger, you might be caught in the cross-fire between two insurance companies (Uber’s insurance and the other driver’s.) The carriers may refuse to take responsibility for the accident. If you are confused, you are not alone. As experienced Uber accident lawyers in Los Angeles, we represent several clients in this very predicament. For this specific example, you, as a passenger in an Uber accident have no fault in this scenario and should be able to recover proceeds from both Uber’s liability policy and from the other driver’s liability policy. This means that you (or your personal injury lawyer) will likely make two separate claims, one to each insurance company. Keep in mind that if you were one of several passengers in the Uber there will be other people making claims for the same accident. Although Uber insurance policies are usually sufficient to cover the damage caused by most accidents ($1,000,000 and up) non-Uber drivers may have low policy limits on their liability coverage. Accordingly, there may be a finite amount of insurance money for which you and the other claimants can access. What if the other driver was uninsured? You should be able to access uninsured/underinsured motorist coverage through Uber’s UIM insurance coverage. UIM coverage is meant to supplement the pool of money that you can access when you have been injured in an accident, however, California law does not let you “stack” the amount of money recoverable from a UIM policy on top of a third party liability policy. Uber’s under or uninsured insurance is critical to helping each passenger in an Uber accident get fair compensation for their injuries. Find out if an attorney can help you as a passenger in an Uber accident in Los Angeles. The moral of this story is that being involved in an LA Uber or rideshare accident can become quite complicated. Even more so when there are multiple people making personal injury claims with multiple insurance companies involved. You need an experienced Uber accident personal injury attorney to help you navigate the process and make sure that the insurance companies do not leave you hanging in the middle. Contact Sally Morin Personal Injury Lawyers: Los Angeles for your FREE online Uber accident case evaluation now to see if we can help. What’s the Impact of a Los Angeles Uber Accident? Were You Injured in an LA Uber Accident?